On my trip to Vegas, I had the chance to do a number of things I wouldn’t normally be able to do (read: afford to do). It’s one of the joys of being a travel journalist; sometimes, you just get to do really cool things. Some days you find yourself living on a dime at a shabby hostel, and some days you’re in the lap of luxury at the Aria Resort and Casino. One day, you’re riding a chicken bus in Guatemala, the following week you’re flying over the Las Vegas strip in a helicopter. This life I live, it really is amazing. Anyways, since I’ve never gotten the chance to shoot any areal photography at night, I took this as a bit of a learning opportunity as well as a chance to maybe teach others how they might go about doing it in the future as well. Check out my video to see how I did. 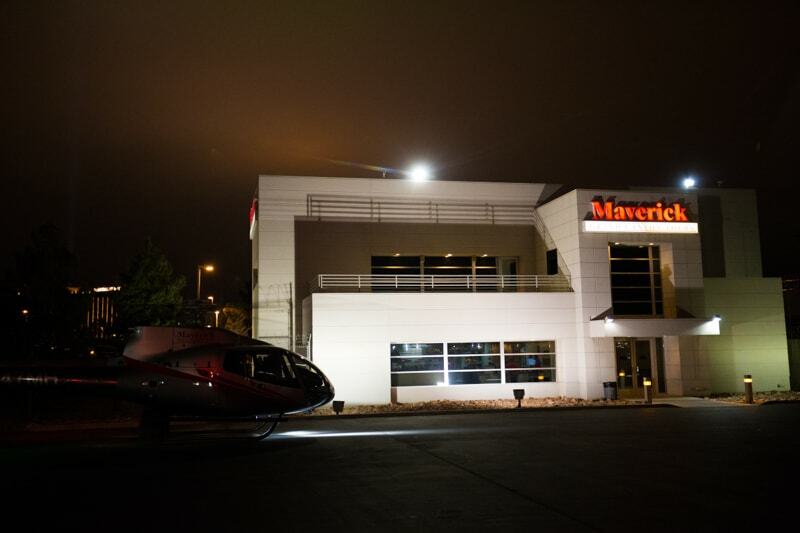 Maverick Helicopters are absolute class, and I’m very thankful to them for giving me the opportunity to see Vegas this way. The flight lasted only about 10 minutes or so, but covered the entire strip on both sides. 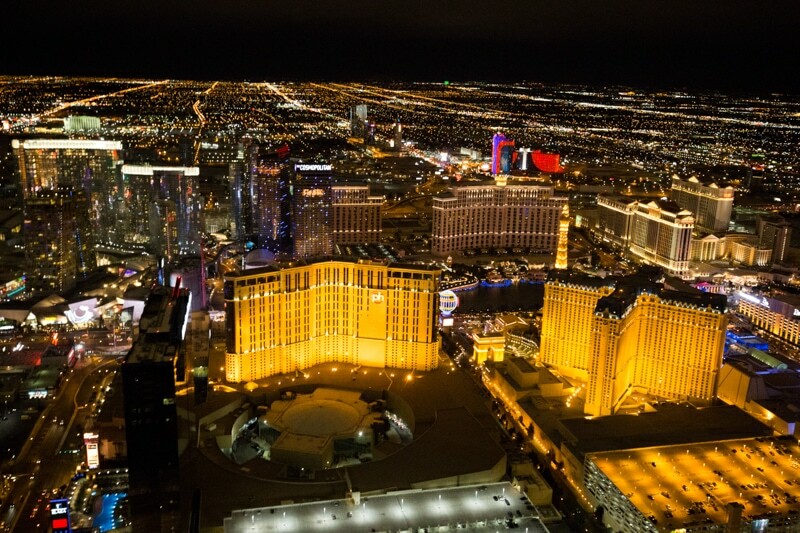 Personally, I would have preferred a flight during the “blue hour” but I can totally understand why they want to show Vegas off in all it’s nighttime glory. Maverick doesn’t just do trips over the Vegas strip, they also do trips to the Grand Canyon that look fantastic. So, if you’re in Vegas and you’re looking to do a helicopter journey somewhere, be sure to look them up. Whenever I go into a situation that I haven’t been in before, photography or not, I try to analyze the potential challenges I’ll face and hope that I can prepare for them. With this shoot, there were a couple things I was a little bit concerned with. Noise: Obviously, at night you have to shoot fairly high ISO to get sharp images. There’s nothing you can do against that except shoot the proper exposure. It’s important not to try and cheat. For example, you might think, “I can shoot ISO 1600 and bring out the light in photoshop”. But, doing so creates sharpness issues and actually increases the noise on the whole. A properly exposed image at ISO 6400 tends to be cleaner than an underexposed image at ISO 1600. The Windows: Helicopters have windows. I can’t just dangle out. So, there’s a problem with glare and reflection off those windows well shooting. The best thing you can do is get your lens as close to the window as possible, and even use your hand as a cup to block out stray light. Vibration: Helicopters shake. Thus, you need a decent shutter speed to match it. If you have a lens that shoots with image stabilization, it helps immensely. Motion Blur: The helicopter is moving at such a rate that you really cant get away with even moderately long exposures such as 1/15. I assumed that 1/50sec. was my low limit, and I think I was right. In the end, figuring out the settings was fairly easy because I didn’t have any other options. I knew I wanted 1/50 seconds, so I went to f/4 and then rolled my ISO up until I got the proper exposure. In the helipad, I took some test images and “chimped” them to see if I had the right exposure, which was at ISO 5000. But, after take off I realized I needed to bump up to ISO 6400. The question might be, would I have been better off with a faster lens? I think so. Personally, I think a 16-35mm f/2.8 rather than my 16-35mm f/4 would have been better. I could have gotten a whole stop of light more out of that lens meaning I could have dropped the ISO to 3200. I don’t think it would have been too soft at f/2.8 because the subject is so far away. I did shoot some images at 50mm on my 60D at f/1.8 but the lens just wasn’t wide enough. The trip went by so quickly it was a bit of a shame. I could have been up there all night messing around. In the end, I think I really only got a couple images I really liked. But, when you’re winging it like that, it’s going to happen. The is my favourite image from the helicopter ride. It’s the only one that I got the nice leading lines of the strip. The strip, with the vast nothing-ness of the rest of Las Vegas behind it. I shot this just before we landed back at the airport. Love the lines of the roads. What’s Next on the Photography Blog? From Vegas, I’m headed west to San Francisco. I’m stoked for it, as I haven’t been to San Francisco since I was about 8. I’ve always wanted to photograph the Golden Gate Bridge, so I’m going to look for the best places to photograph it. From there, we’re headed to Joshua Tree and then off to Colombia! Stay tuned. Amazing photos and the city! Amazing photos! I will be in Vegas in five weeks for the world series of poker. This looks like an excellent way to see the city. Amazing photos , you have a big talent ,the city is very beautiful. 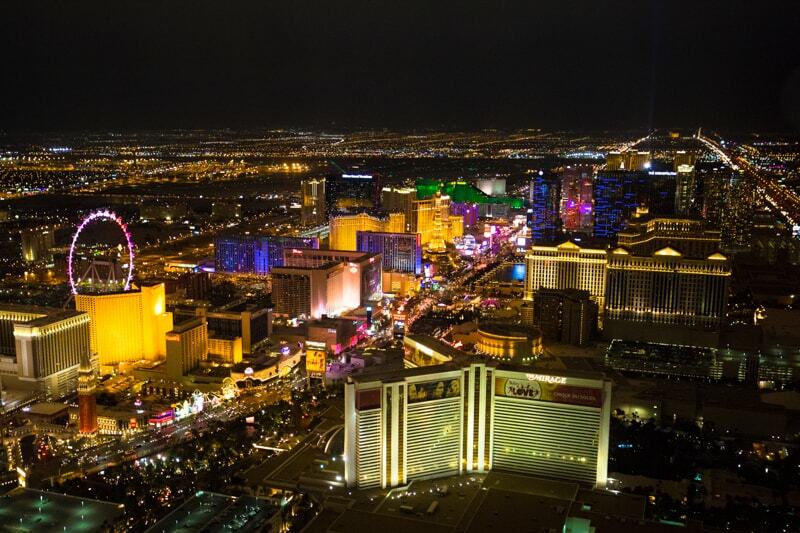 Nice pictures and narration , you have been able to show me the famous Las vegas ,Thanks journalist ! WOW Brendan – these pics are amazing. We did a helicopter ride over the Grand Canyon and that was spectacular but after seeing these pics, seeing Vegas at night from above is now on my ‘to do’ list. The video is great and also the pics! Everything is so different and beautiful from from bird eye view. 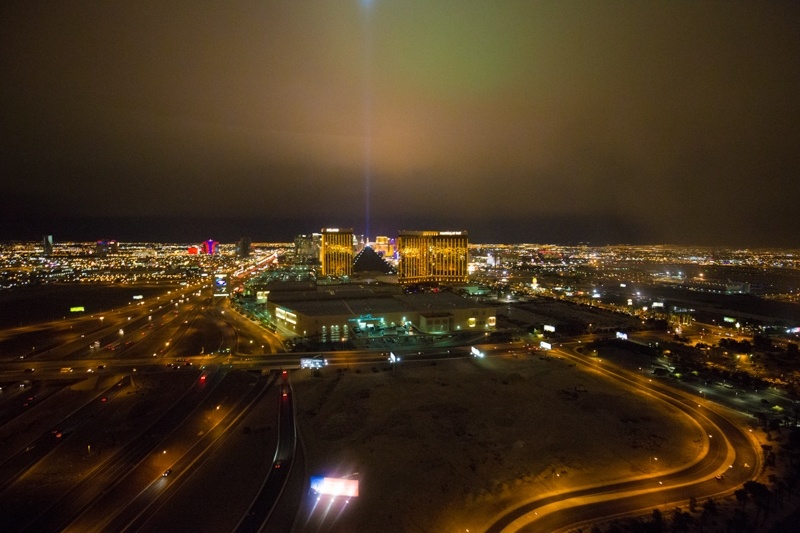 Especially Las Vegas with all the lights in the dark. I envy the lives of travel journalists. so adventuresome. I loved the pictures and the video. 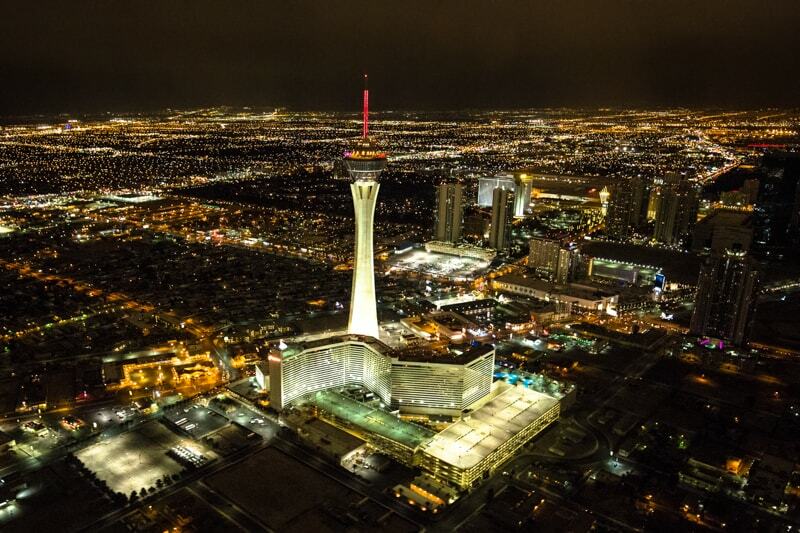 Bird eye view of Vegas is so captivating. 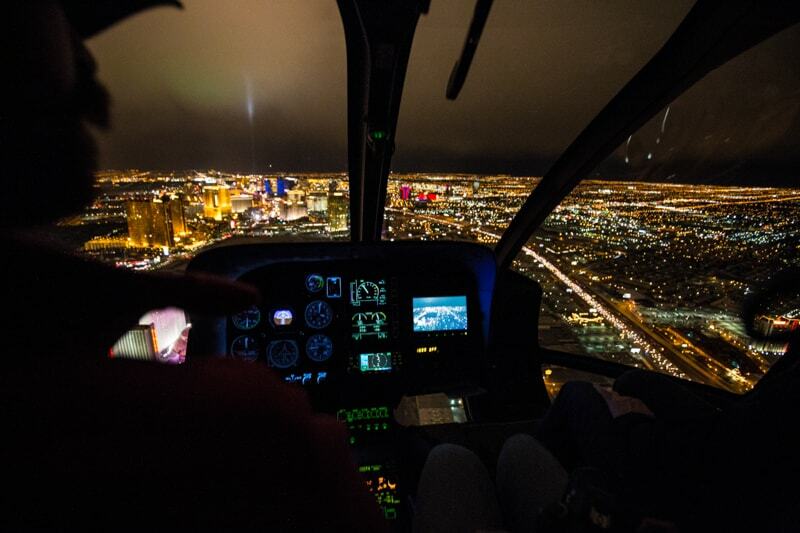 It must have been a thrilling ride above legendary Las Vegas. It’s really a unique experience, thanks for sharing with us.